From an original idea by Claire Dodd, InScInc. A unique version of the traditional rags to riches story of Cinderella given the scientific treatment. All the fun of a traditional pantomime show combined with education and learning. The show is designed for a small 5 person cast and is ideal for school performances. 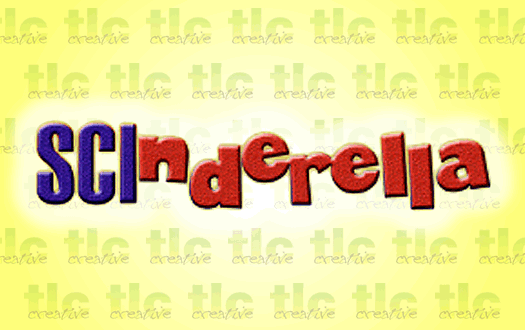 Based on the traditional story of Cinderella, Prince Charming is on the hunt for the girl of his dreams. With ugly sisters Positivia and Negativia trying their best to stop Cinder from making it to the Ball, the characters learn all about pollination, separating mixtures, circuits, light and forces. With lots of audience participation, a handsome prince and, like all good fairytales, a happy ending! With a sprinkle of science from the Fairy’s magic wand and even a magic coach you are guaranteed fun, education as well as enjoyment for young and not so young alike! It is undoubtedly the most unusual and educational pantomime on offer! This script was originally commissioned by InScInc (an educational company based in the North East of England) and was performed in a large number of schools over the 2005/2006 Christmas season. Also available with this script as an optional extra: Rehearsal / performance arrangements for the suggested song from the show by Sound-Board, available to purchase from Lazy Bee Scripts. You can also purchase a special 4 page Kids fun sheet featuring educational topics included in the show. Licensing: This script is published through Lazy Bee Scripts. To read the whole script online and to make an application to perform the show please visit Lazy Bee Scripts. Included with the script is a set of new lyrics to a popular song written especially for this production.